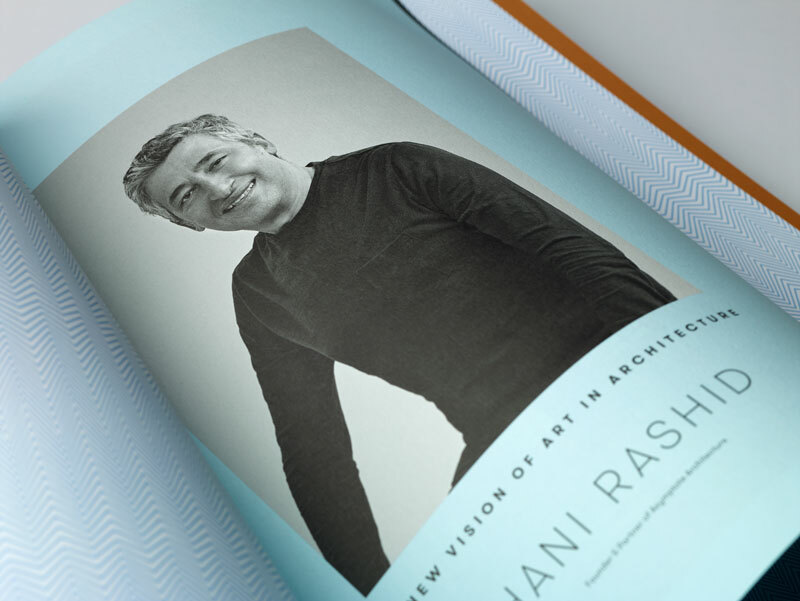 And Partners works with Brilliant to produce the very finest print materials for their real estate clients. Missoni Baia in the Edgewater neighborhood of Miami, Florida was born from a unique collaboration with a visionary team, including legendary fashion-house Missoni and world-renowned architect Hani Rashid of Asymptote Architecture. This case bound book is filled with consideration for fine details and luxury finishes. Accented with splashes of aqua metallic foil gilding, the cover features sculptured embossing to capture the building’s playful nod to minimalism. Text pages printed CMYK plus 2 PMS spot colors. 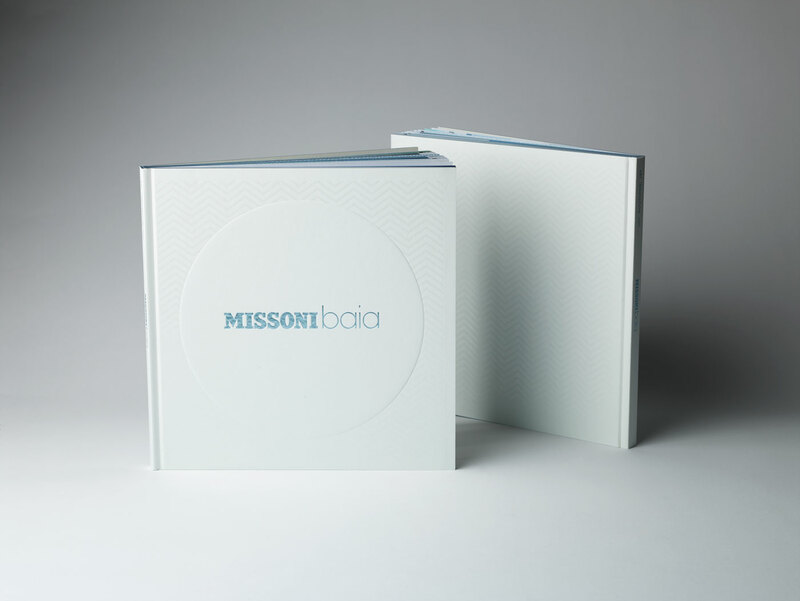 Tipped-in 24 pages of special inserts featuring short pages and contrasting paper stock. 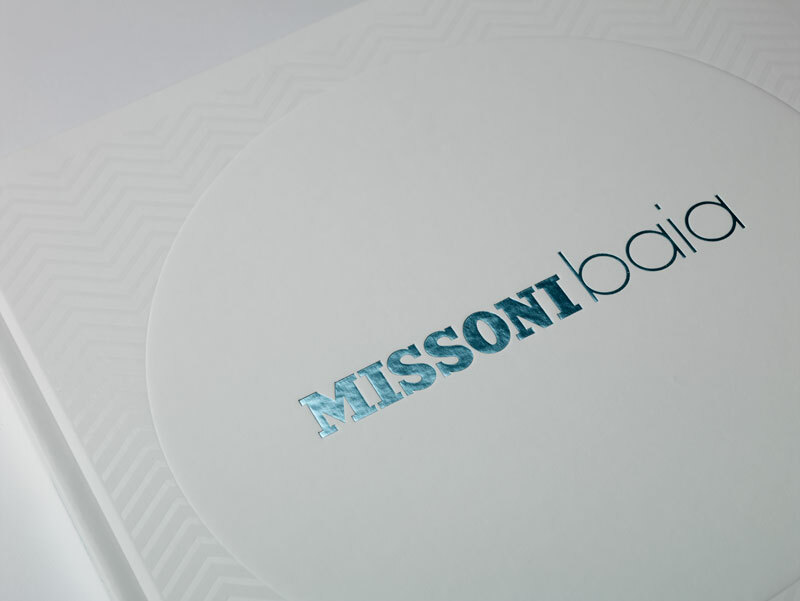 Cover features clear foil stamped wave pattern, Aqua foil stamping in Infinity Foil 20, and debossed circle precisely registered against the stamped wave pattern. Text printed on 80# Solar White Classic Crest Smooth Text. Short text pages printed on 85# Premium White Canaletto Text. Although minimal in its presentation, this book was complex in its execution. Our team rose to challenge! 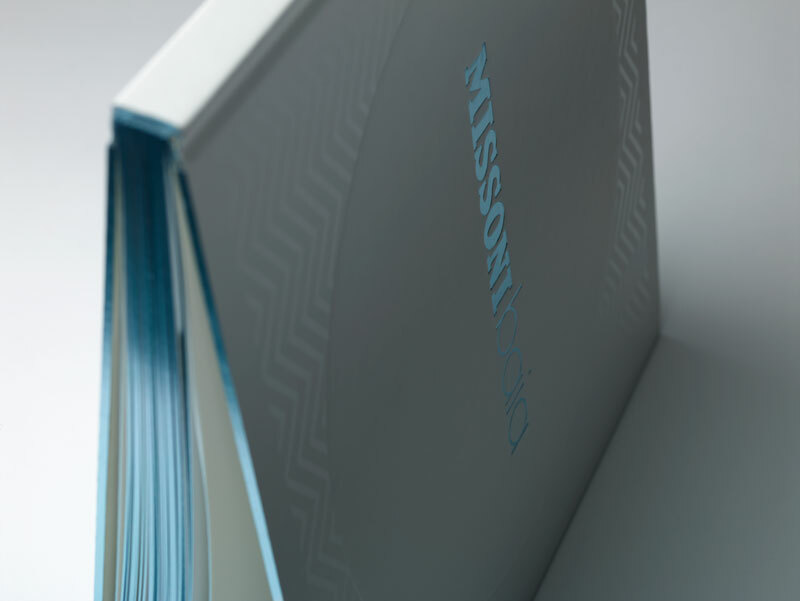 We engineered to ensure perfection—from pages printed in full color plus PMS spot colors to the beautiful combination of foil stamping and debossing on the cover. Several sections of short pages were tipped-in, creating a modern rhythm throughout the book. We love a challenge. Trust Brilliant to engineer your most complex projects.